Stream and record up to 256 channels of video with this H-Series NVR from Hikvision at resolutions up to 12MP. 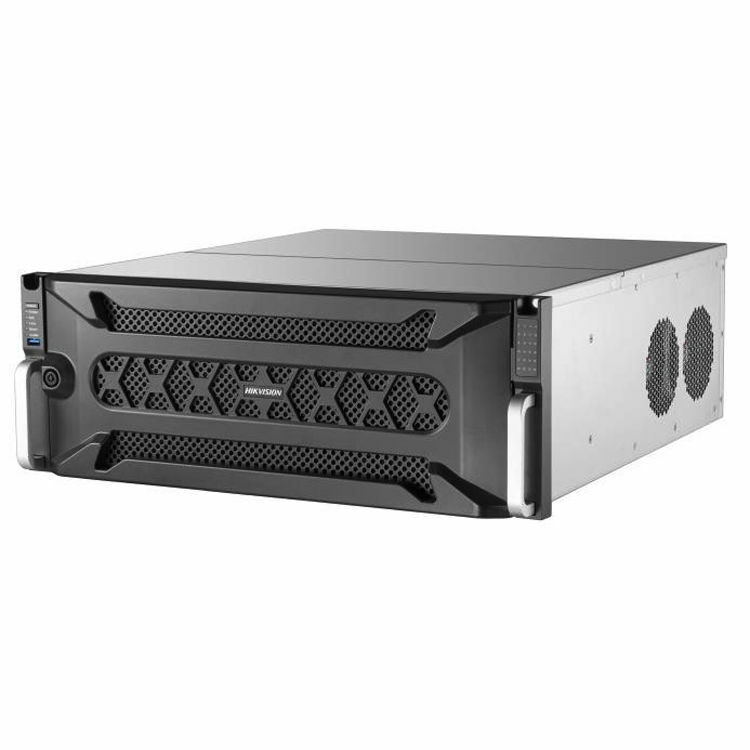 Equipped with 24 SATA ports, each supporting an HDD up to 8TB, the NVR can be configured to have up to 192TB of internal storage (HDDs available separately). External storage options include PCs via Internet connection, network servers, USB storage devices, and eSATA devices. Network bandwidth use is optimized while ensuring high-quality recording and playback using H.265, H.265+, H.264, H.264+, MPEG-4, and MJPEG compression. The NVR enables simultaneous playback of up to 16 channels via one VGA and two independent HDMI ports, at resolutions up to 4096 x 2160. 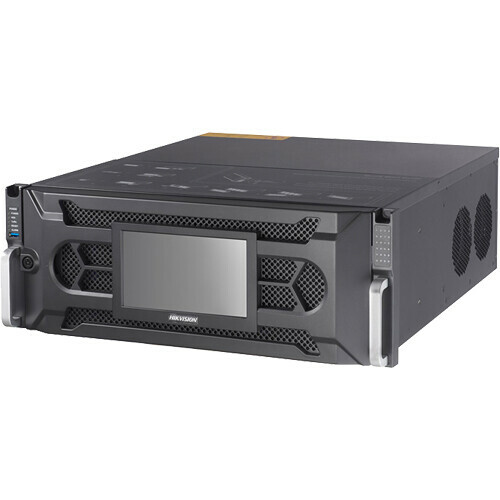 Up to 256 channels can be simultaneously recorded at 12MP, 8MP, 7MP, 6MP, 5MP, 4MP, 3MP, 1080p, UXGA, 720p, 4CIF, DCIF, 2CIF, CIF, or QCIF resolution with a maximum combined transfer speed of 768 Mbps. The NVR is equipped with RCA connectors for bi-directional audio, an alarm interface of 16 inputs & 8 outputs, and RS-485 & RS-232 serial interfaces.